During our visit in Capalonga, we were mesmerized by the story of this church. It was said that an old man carved the image of Poong Hesus out of a piece of "apalong" wood he saw floating in the town river. Others say that the more than 300 year old icon was carved by a fisherman out of an "apalong" tree in an island called "punta", some two and a half kilometers of the present town proper (now Bgy. Poblacion). Reports said that the morning after the tree was cut, it bled. The sap turned into blood, yet the tree continued to grow. The news spread around and the island was subsequently named "Punta de Jesus" which meant the place where Jesus had come. There were many more stories of the origin of the Black Nazarene and the differences in the versions was due to the fact there were no documents that would explain its history. 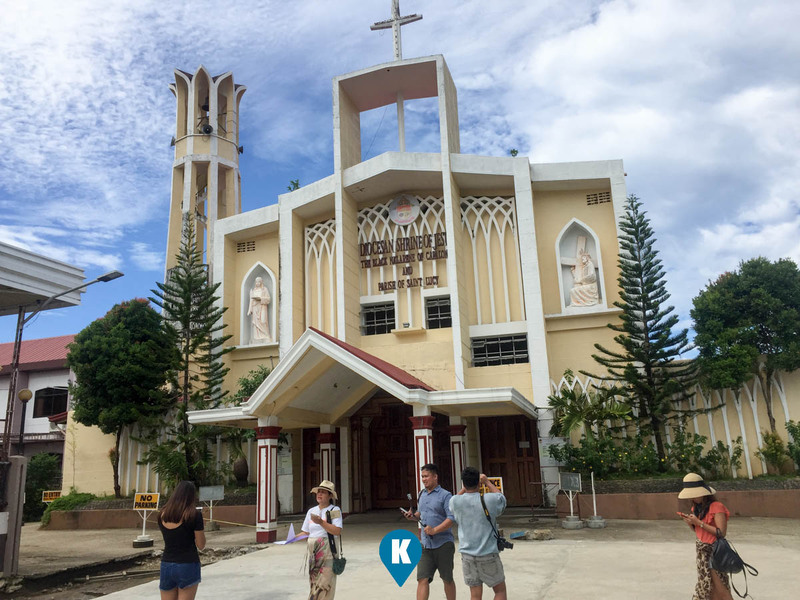 Popular belief also says that the icon was in an enshrined small nipa shingles in the old town site, now known as Brgy. Isidro. That during this time, every friday, the image would be missing from his altar and would be found near the bank of Talagpucao, a sitio facing the Pacific Ocean (Lamon Bay). The people took this as a sign and they built a chapel there for Poong Hesus. The current church now resides within the heart of Capalonga and the altar looks exquisite. 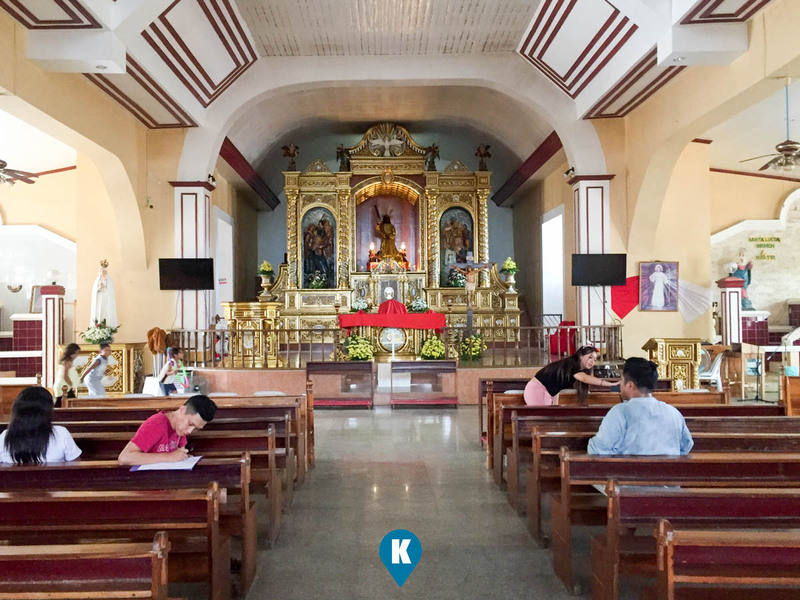 We were glad that the church was open so we were given a glimpse of the miraculous image and the altar's grandeur. We said our prayers and we continued to awe the details of the other parts of church. As grand as it is now, we learned that the church will be transferred to a hill over looking the bay. 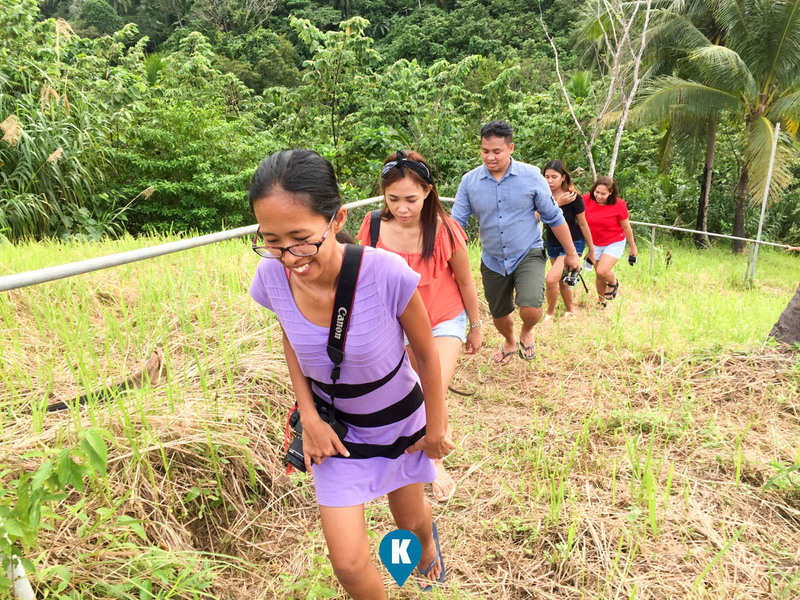 The construction is currently ongoing and we were guided there by the Capalonga Tourism Officer, Rod Gawat. The new site is awe inspiring, situated on top of the hill, the new church now has a great view of Lamon Bay. The parish priest overseeing the construction told us that the church will be finished hopefully in 2018. A temporary church was erected beside it so they can hold masses there as of this time. We do hope that we do get a chance to see the new church when its done. We have seen the perspective drawings of it and we can only imagine how it would appeal to the parishioners. You should see how scenic the new site is. You may reach Capalonga via car, bus and by renting a van. a 14 seater van usually costs Php12,000 round trip. By car, simply follow waze and the bus lines also cater to this route as well. Super Lines and Philtranco are the well know bus lines who go to Capalonga from their Cubao Terminals. Fare averages Php500 one way as of this writing. To see the new church site, you will have to take a tricycle or a habal if you can find one as the it is a bit far from town proper. 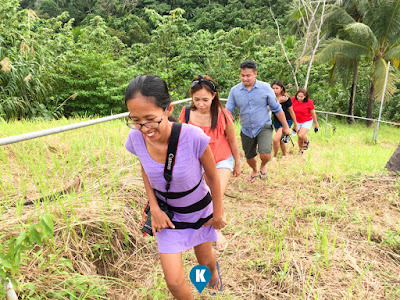 We would like to take this chance to thank the Provincial Tourism Office headed by Mr. Bong Palma as he organized for our trip to Camarines Norte. Again thank you for showing us how beautiful Camarines Norte is.